A collection of healing sleep meditations, hypnosis, and bedtime stories as published on YouTube to help overcome anxiety, fear, depression, and insomnia as you life your best life and manifest the future you deserve. 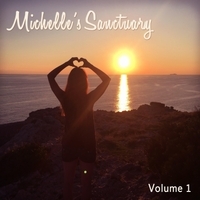 Taken from Michelle's Sanctuary on YouTube, Volume 1 includes some of the most popular recordings for sleep hypnosis and guided meditation. Making a transition from a touring singer-songwriter found meditation to cure performance anxiety and cure the unsettling insomnia that came from erratic hours working in the entertainment industry. Finding the most success listening to female voices, she developed a channel to create content and powerful messages she had been seeking.